Welcome to the new Q & A Forum. 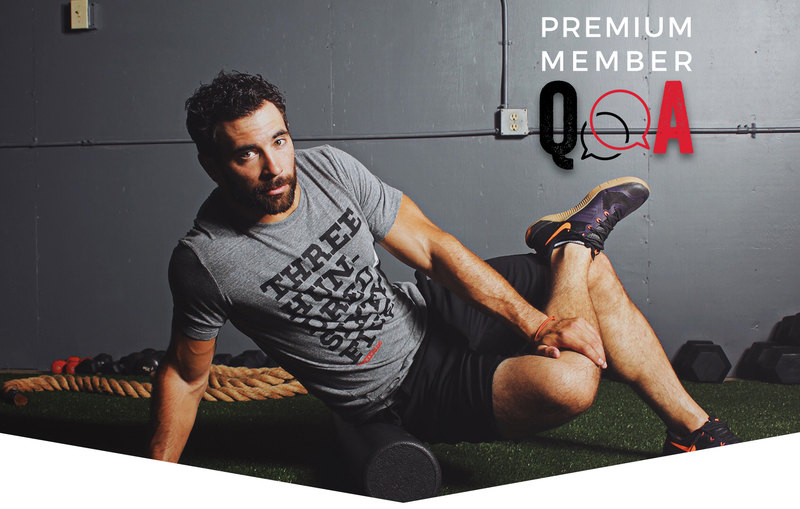 As WODdoc Premium Members you have unique access to the WODdoc himself. Post your questions here and they will be turned into forum topics where Dr. Tim Simansky and the entire WODdoc Premium Member Community can add to the conversation. Dr. Tim Simansky will post topics of frequently asked questions. Members can reply and also post suggestions for other topics. This is an open forum, so every member has an opportunity to discuss topics and add their own thoughts and opinions. Be respectful. We are all going to disagree at some point about any given issue, that’s okay. But if a conversation gets threatening or heated – we will moderate. With the intention of keeping conversations on topic, we ask that if you post images, videos or links – try to keep them relevant. Malicious links or spam will be deleted. You can search for questions related to a specific category by using the search bar below. Why do we get tight? How long should I stretch for?